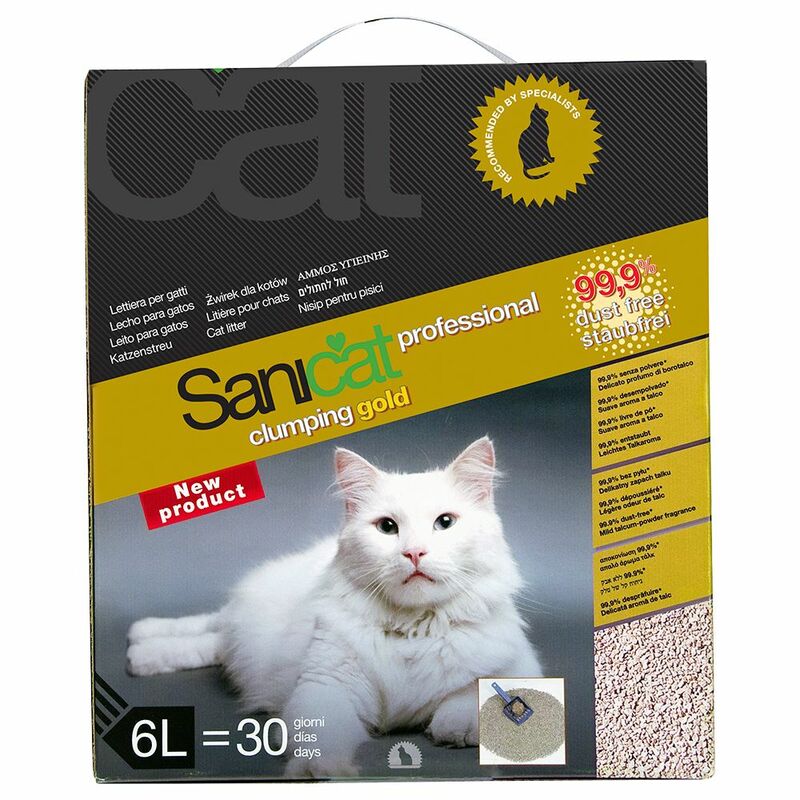 Cats and cat owners alike simply love Sanicat ProfeΒional Clumping Gold! It's simply a treasure: ultra-clumping cat litter with a hint of golden colour, of unique quality! Sanicat Clumping Gold is a premium product with a huge range of great attributes: Natural bentonite with high clumping capacity for easy clean-out Pleasant baby powder and plant extract scent for excellent odour control Compact format Side windows in the pack allow you to check content levels LeΒ dirt, as virtually dust-free! Included in delivery is a triple pack, with each individual pack holding 6 litres.